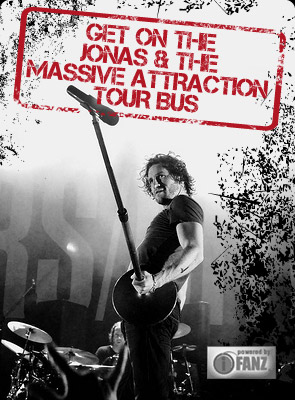 Wanna WIN a pair of tickets to see Jonas & The Massive Attraction perform live on the TV show BELLE ET BUM in Montreal on Saturday, January 18, 2014 at 8 Pm? Rock over to the band’s Facebook Page and give us a “LIKE” at https://www.facebook.com/JonasandTMA and go to the “Belle et Bum” contest post on the Timeline and tell us where the official video for “Respire” (“Breathing”) was shot! The winner will be announced on January 16, 2014 on Jonas & The Massive Attraction’s FB Page. Winner is responsible for their own transportation and accommodation in Montreal.